On Thursday, March 26th, during last period, 12 speech students were ready to start their journey to Kearney. The journey started with a student council-led send off, and about 90 minutes later, the students arrived in Kearney. They gathered together at Skeeter Barnes for supper and then headed off to the hotel to get focused on the day ahead. Early Friday morning, the team was awake and ready to compete. After a good breakfast, the team arrived at UNK at 7 a.m. Rounds were underway by 8:00, and the students were ready to perform. Finals were posted at 2 p.m. and, unfortunately, nobody finaled for the Nebraska Christian Speech Team. Although they may not have had the results they wanted, the students had a great experience and worked heartily for the glory of God. “This was a great experience, especially for all our young participants, and what they learned here will benefit them for years to come,” said Head Coach Charissa Smith. 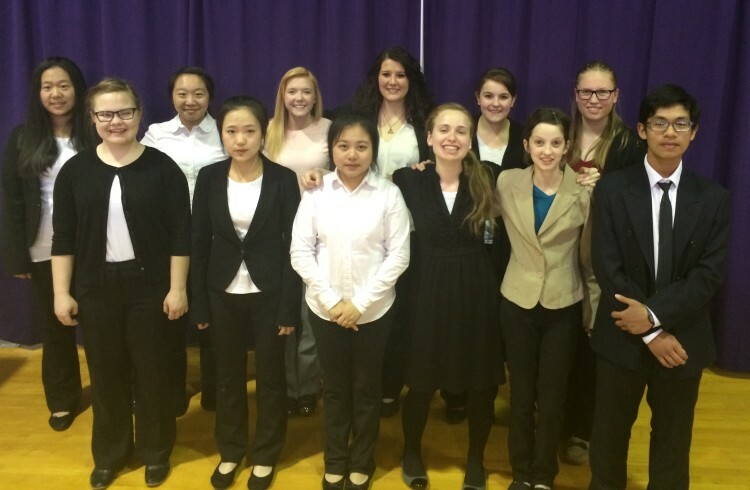 Look out Kearney–this young speech team will be back and ready bounce back next year! Above: State Qualifiers. Row 1: Marilla Flynn, Isabella Yang, Alicia Kim, Christina Bailey, Jessica Hilderbrand, John Tran. 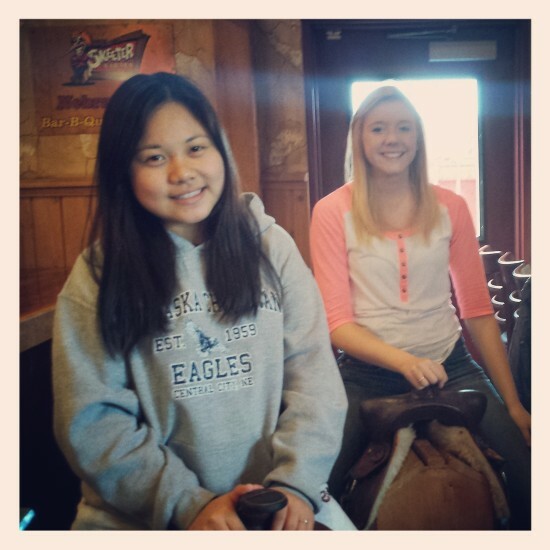 Row 2: Skyler Qu, Grace Wu, Taylor Van Pelt, MaKenna Loy, Wendy Bornmann, Morgan Schulze. 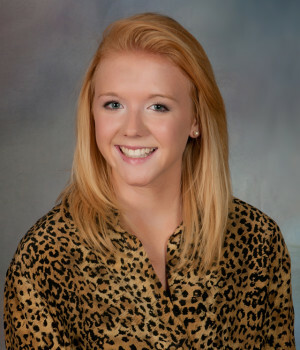 Taylor Van Pelt is a member of the class of 2015. She is from Phillips, Nebraska.